Developers have turned their sights to the city of Mississippi in the hopes of building a new casino in the area. James Parish is the developer seeking to build the new casino. James Parish currently owns a large, 12 acre plot of land within the city, which includes a former Kmart and Sav-A-Center grocery store. The plot is located near the northern side of the United States 90, meaning that it has a busy transport network nearby. Parish and his company are looking to build a new casino resort on the large property. The casino would be the first in the region, and could potentially draw in a huge audience who would otherwise be forced to drive a number of hours to find a land-based venue. 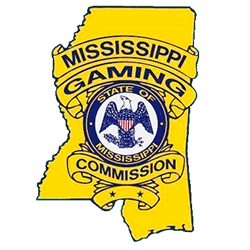 The Mississippi Gaming Commission will be holding a meeting later in July, which Parish intends to attend hoping to gain the permission to build a new resort on his land. The Gaming Commission controls all the gambling-related affairs that take place in the county, and anyone looking to start a new resort requires signed permission. If the proposed idea gets the go-ahead, the resort would cover over 40000 square feet, and consist of 1200 slot machines and 20 table games. Alongside this, a proposed 300 hotel rooms would also be added, as well as various other facilities, including a restaurant. Parish has stated that he is working with Encompass Develop, Design & Construct for the potential project.